Your donation today will make a life-long difference to generations of indigent Haitians. It's more than fixing fractures, it's changing lives. We are making miracles happen everyday. 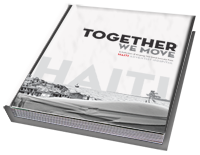 Donate and receive a copy of our book, HAITI: Together We Move. Now Available! Click to preview our pictorial and learn how to get our unique book. Click above to learn more about our team of orthopedic missionaries and Amistad International. Working together to serve one common mission. 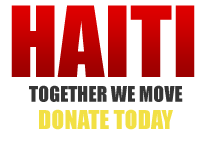 Click above to learn where your money goes and to donate to the Haitian Indigent Patient Fund. Our doctors, nurses, and team on the ground are counting on you. Sign up below for the newsletter and we will inform you when the book is available. The Haiti Indigent Patient Fund is a part of Amistad International which is a registered501(c)(3) public non profit charity. Our mission is to help restore the lives of Haitians through our work. Our pictorial is a full-scale book brimming with images representing the Haiti earthquake disaster and the work done on the ground by our orthopedic surgeons. Your purchases and donations help great doctors, nurses, and other team members to do great work.